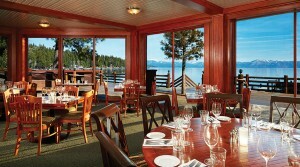 Fish tacos and zucchini sticks, margaritas and mai tais, all served on a hopping lakeside deck on a Tahoe summer day. Sunnyside Restaurant is all that, and lately, a lot more. A West Shore fixture since 1987, Sunnyside is run by TS Restaurants, which operates 13 waterfront eateries in Hawaii and Southern California. 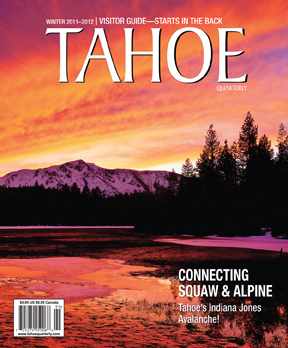 The property, two miles south of Tahoe City, dates back to 1908 and includes lodging and a marina. After a remarkable quarter-century run, last year chef/partner Lee Kresy moved on, purchasing D’lish Catering with his wife, Leah. The changing of the culinary guard brought aboard Robb Wyss, a Napa Valley Culinary Academy grad who acquired a taste for working with micro farms and artisan ranches while employed at the Napa Valley Grille in Yountville. 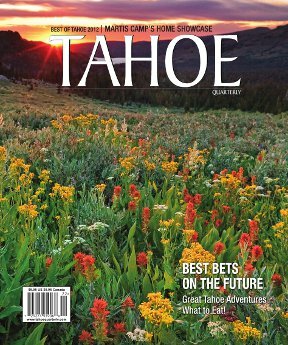 The Illinois native took his wine country cuisine to Chicago’s Bin 36 and on to Illini Country Club in Springfield before again heading west, this time to Tahoe, bringing a fresh look and feel to Sunnyside’s New American menu. 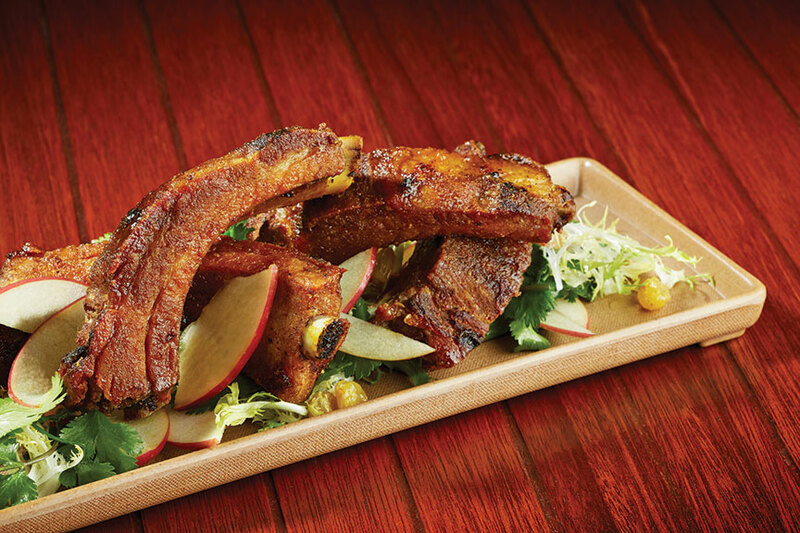 A glance at one of Wyss’s globally inspired, seasonal lineups might reveal fragrant, curry-spiced pork ribs, crispy on the outside, sweet and tender on the inside, served atop a Fuji apple, frisee, cilantro and golden raisin salad. The roasted Capri tomatoes are marinated in garlic, butter, thyme and rosemary and plated with house-made ricotta, basil pesto and aged balsamic reduction. Starters might also include chilled ahi nachos—layers of shaved tuna, house kimchi, scallions, wakame, lime goat cheese and wonton chips. On to the entrées, Mary’s Moroccan chicken is an aromatic and juicy brick-pressed, free-range half bird served with cauliflower almond “cous cous” (Wyss’s treatment of the cauliflower really resembles the semolina grain), heirloom carrot and avocado salad, toasted pumpkin seeds and preserved Meyer lemon vin. Seared scallops are served atop a sea urchin–flavored miso carrot butter with a side of prawn pot stickers and gai lan (similar to bok choy). A rabbit duo features a bacon-wrapped loin and braised hind shank, spring peas, mint, farro and Nantes carrots. Sunnyside’s popular Kobe burger lives on: Snake River Farms beef, piled with applewood smoked bacon, tomato jam, sautéed onions and gorgonzola. Although the restaurant’s mai tais and margaritas (the Escalade mixes Milagro silver tequila, fresh lime and orange juice topped with a Grand Marnier float) are reasons unto themselves to celebrate, the restaurant’s Wine Spectator–recognized list includes producers large and small, primarily Californian with occasional forays abroad. There are more than 20 wines by the glass and craft beers on tap from Trumer Pils out of Berkeley to Drakes Pale Ale from San Leandro. Sunnyside’s two dining rooms, which share the same menu, can accommodate a total of 300 guests between the more casual Mountain Grill (recently remodeled but with its moose head and canoe seemingly more Minnesota than Tahoe) and the more formal Lakeside Dining Room, which evokes a classic woody cruiser with its wood paneling, nautical-styled windows and banquettes. Both boast sweeping water and mountain views. The spacious deck, touted as the largest on The Lake, seats 250; in the summer, boaters can take advantage of the marina’s valet service. Whether you arrive by boat or bike, car or foot, save room for dessert—even if you have filled up on those fallback fish taco and zucchini stick favorites. Tempting sweets range from the tart Sunnyside lemon bar, baked with shortbread crust, strawberry rhubarb compote and whipped cream, to the rich dark chocolate “pate” made from port gelee, chocolate hazelnut biscotti and blackberry jam. Kimo’s Hula pie, “what sailors swam ashore for in Lahaina,” is the TS Restaurant island connection, comprising a chocolate cookie crust, macadamia nut ice cream, hot fudge and whipped cream. Plan ahead, however: It is served in portions that could surely sink any seafarer’s ride.